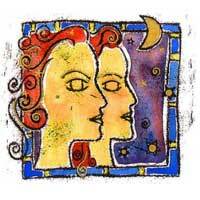 Gemini influences areas regarding children, physical attraction and creative desires. Mercury opposite Uranus makes it either a perfect relationship or one that will not work. No middle ground. 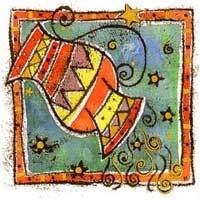 Gemini will stimulate you and you seem to get along. There are sudden actions and reactions. There are new projects which can be turned into real success. An element of deception is present, you tend to idealize the relationship, ignore the problems and accept the pleasantries. This relationship can be a success if you are realistic. You cannot play here. Emotions will get crazy and it's very real. This association might materialize in marriage and children. Between you there is this aura of illusion. The relationship appears to have no solid base which will be interpreted as romantic or could be a kind of entertainment, a flame that eventually proves not to be that strong. This is a romantic relationship that has much in its favor. The question is whether you are prepared for it. The attraction is obvious but if you try to fool anyone, the price will be very high. In general, this relationship deserves encouragement; the rest is up to you.